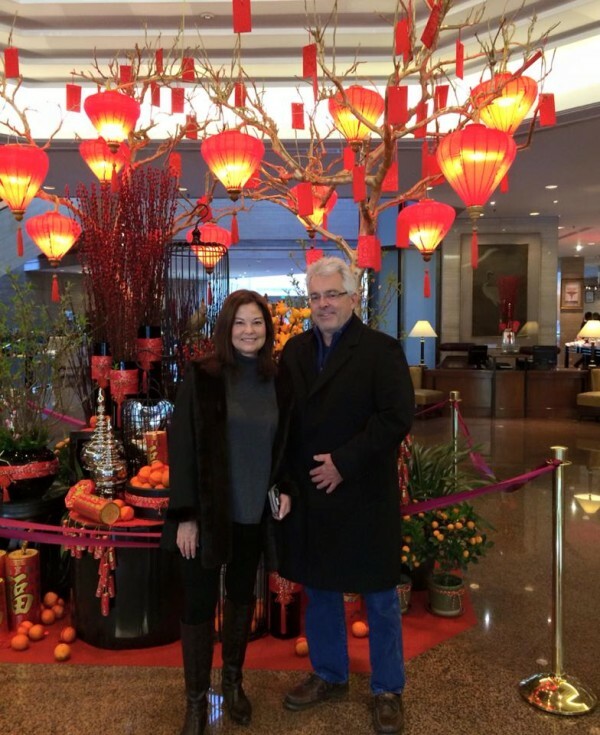 Chinese New Year 2015 begins on Thursday, February 19th and preparations for the two-week celebration are in full swing in Hong Kong and Shanghai where I was with my husband last week. Spring Festival, aka the Lunar New Year or Chinese New Year as it’s most commonly referred to in the West (and now the East, from what I’ve seen), is the most important traditional festival, and an important celebration for families in China. It is an official public holiday and most Chinese have 8 days off work, much like our Christmas/New Year holiday. The beginning of Chinese New Year varies from year to year, but always falls somewhere in the period January 21 to February 20, and is based on the lunar calendar vs. the solar calendar. The Chinese lunar calendar is associated with the Chinese zodiac, which has 12 animal signs: rat, ox, tiger, rabbit, dragon, snake, horse, goat, monkey, rooster, dog, and pig. 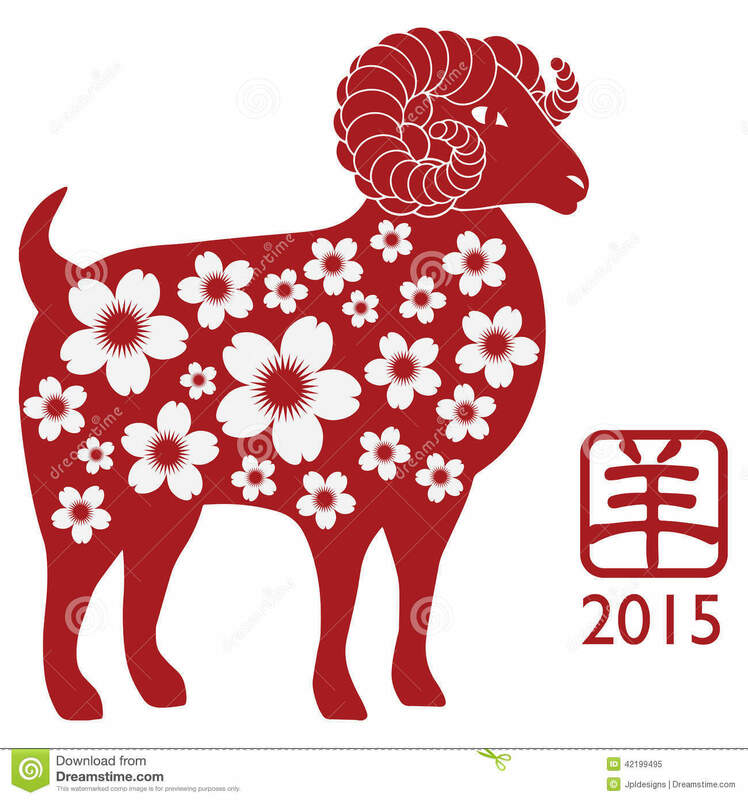 Each animal represents a year in a 12-year cycle – 2015 is the Year of the Goat (or the Sheep, depending on nationality). Everywhere in Hong Kong and Shanghai, there were vibrant displays of the symbols associated with Chinese New Year. 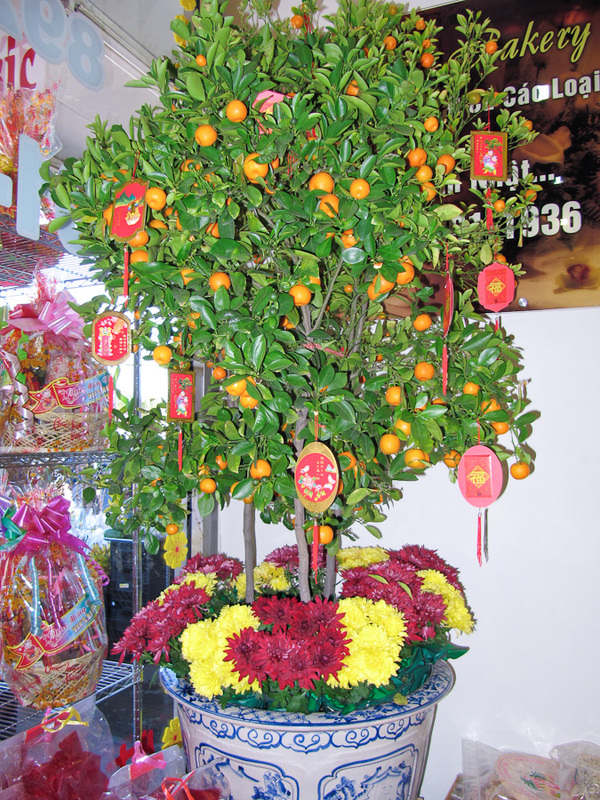 Red is the color of Spring Festival because it is considered auspicious – every where bright red paper lanterns, predominately red floral arrangements, red paper-wrapped fireworks, and shiny gold-emblazoned red envelopes hanging from miniature green trees heavy with tangerines or kumquats. I didn’t see as much public art depicting a Goat (or Sheep) this year as I saw Horses last year, and the images I did see around the city, and those that I found online, resembled a Big Horn Sheep or ram more than a goat to me, but oh well. Photo credit: Harry the bellman who chose his American name because he loves Harry Potter! 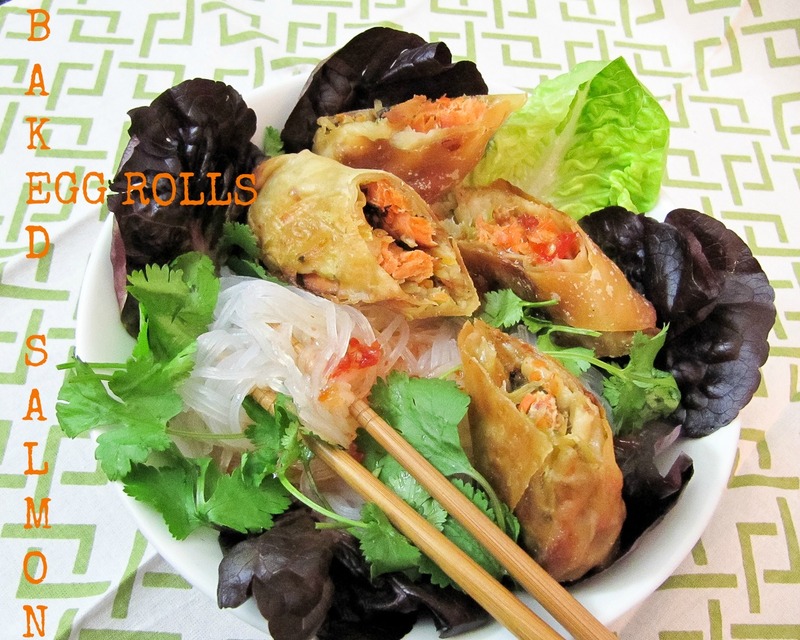 For today, I’m reposting an “oldie but goodie” recipe for Baked Salmon Egg Rolls from 2011, which I’ll be remaking for our CNY (another reason to celebrate) and so I can snap some better pics! I’ve been doing this for 5 years, and was using a Canon Powershot Point & Shoot and had no clue about food styling, DSLR photography, aperture settings, etc. Also, certain foods are eaten during the festival because of their symbolic meanings, based on their names or appearance. Fish is a must for Chinese New Year as the Chinese word for fish (鱼 yú /yoo/) sounds like the word for surplus (余 yú). Eating fish is believed to bring a surplus of money and good luck in the coming year. Heat grill to med-high heat. Rinse salmon filet, pat dry with a paper towel. Spread with teriyaki sauce. Grill for about 5 minutes, skin side down. One way to tell the fish is done enough is when a white substance (fat) begins to appear on the flesh, another way is if the fish flakes under gentle pressure from the spatula. Do not overcook, the fish should still be moist. 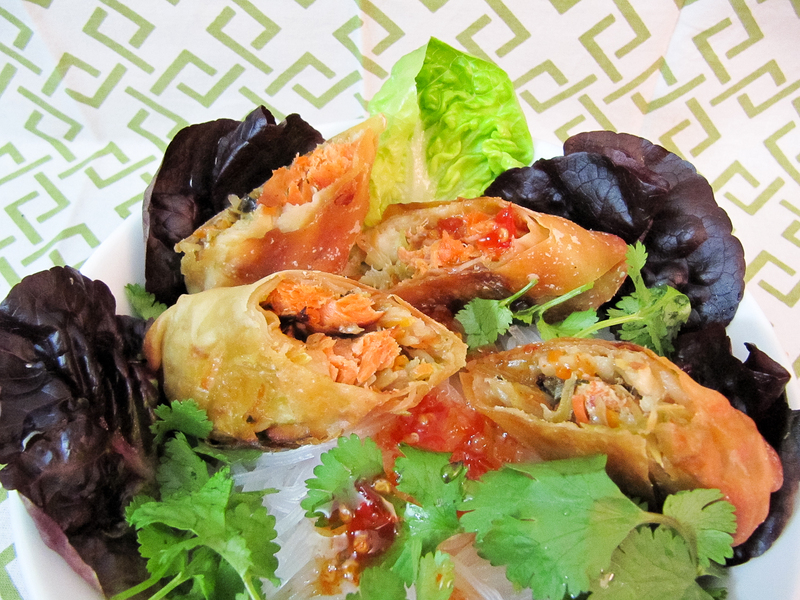 It’s better to undercook – it will be baked inside the eggroll, too. Remove from grill with a fish spatula. Set aside to cool. Meanwhile, heat a skillet with the peanut oil, sesame oil, and a sprinkle of red pepper flakes over med-high heat. Add the onions, saute for a minute, then add the broccoli slaw. Continue to cook for about 5 minutes until vegetables are softened. Using a fork, gently press down on the salmon to flake off pieces. It should separate from the crisp skin very easily. Place the pieces of fish on top of the vegetables. You can also use pieces of crisp skin if you desire – if you like salmon skin roll sushi - this is how it gets it’s name and it’s terrific charred flavor! 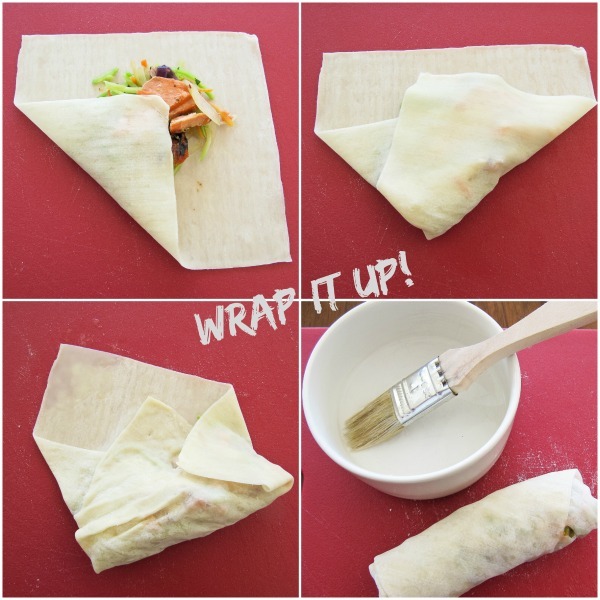 Take one eggroll skin at a time and place a scoop of the mixture in the middle, spread out so the filling is about 2″ long by 1″ wide. Most eggroll skin packages contain a diagram of how to fold to get a perfect eggroll. You first fold one triangular end over the stuffing, then fold in the two sides, use your fingers to compact the stuffing, roll up, lightly brush the end with water to seal. Line a cookie sheet with parchment paper. 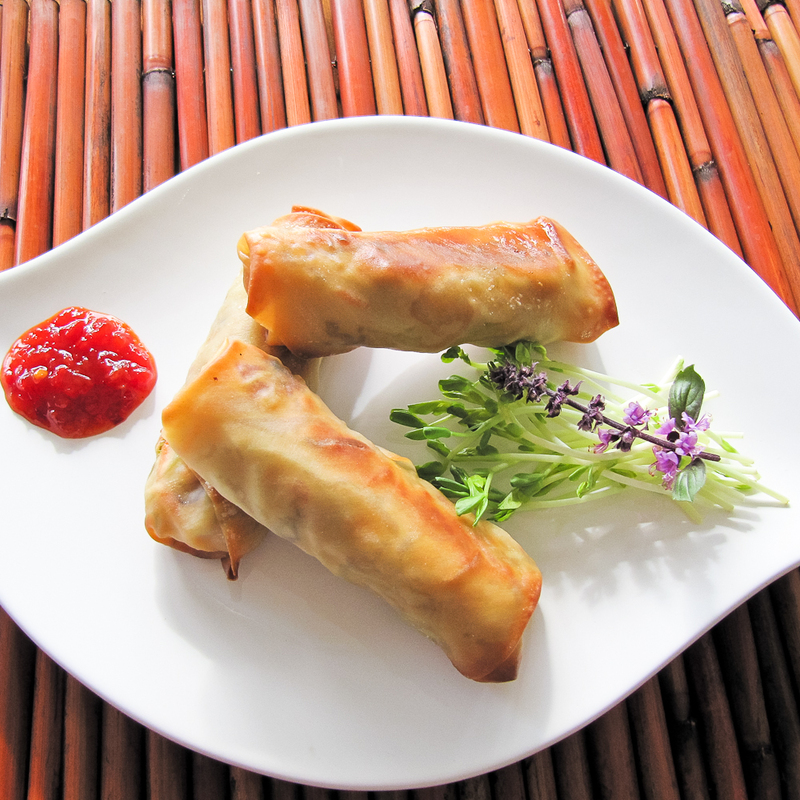 Place the eggrolls seam side down on the parchment, spray with canola oil and bake for 20 minutes. Turn the eggrolls and bake for 10 more minutes or until golden brown and crispy. Priscilla…youngens born in 2015 according to this are pretty much ‘toasted’…ha ha! Love the beautiful goat/ram/sheep…very regal…and I’ve learned new stuff as I always do reading your posts…I’m serving up some fish for the the Chinese new year & good luck! Thanks, luv!